Does a doctor's apology affect a medical malpractice lawsuit? When a person apologizes, it means that they are acknowledging that they have broken your trust. A true apology can be hard to say and is usually done as a way to restore that trust. But when big corporations, like GM, hospitals or HMOs apologize, do the apologetic words have any meaning? These apologies are issued by public relations people, risk managers and other people who get paid to apologize. Ben Ho writes that there is a link between apologies and economic outcomes. When it came to court, the doctor's apology would be inadmissible (cannot be used in against the doctor in court). By doing this, they hoped it would 'break the vicious cycle' and strengthen the doctor-patient relationship reported Ben Ho on www.voxeu.org. Ben Ho took a look at medical malpractice claims in each state that had passed the 'apology law' and saw that malpractice cases settled 19-20% faster and saw that there was a 16-18% reduction in the number of claims filed. Ho developed a model of apologies and tested them in his 2012 study. For an apology to work or restore broken trust--the apology must be hard. He bases this on the game theory--our ability to signal a desirable quality depends on the cost of performing that signal. That's interesting research but there are a couple of issues - some people believe that patients harmed by medical mistakes sue out of anger. The reality is that when you are caring for a special needs child, a paralyzed spouse of someone with catastrophic brain damage, there is little time or energy for anger. What you want is to have your worries and problems taken care of, to know that there will be resources available for your loved one when you can no longer be there, or physically can't provide all of the care they need. Honestly, it really doesn't matter. It's a nice thing to do and may avoid a malpractice case over a minor injury, but no one has the time and resources to sue a doctor for a minor injury. Whether the doctor or physician apologizes or not, we should not take the focus off of what actually happened, the person who was harmed in the process, and how to prevent the harm from occurring to someone else in the future. These apology laws were put in place to protect the doctor and not the patient. It is like saying, "OK, he admitted he did something wrong, lets move on see how quickly we can get this to go away" and that's why cases are more likely to settle faster. Apology or not, malpractice is malpractice. 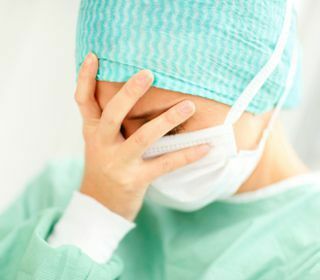 Instead of worrying about apologies, we need to put patients first and make sure the malpractice doesn't happen again and seriously hurt someone else. For more information on this story, hear over to www.voxeu.org.